There are so many options and decisions when it comes to replacing your roof. Materials, warranties, colors, accessories... But perhaps the most important decision is the company you choose to do the work. 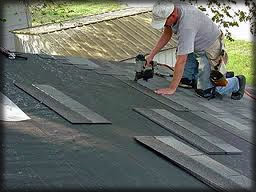 Morton Roofing can explain the differences in material and installation procedures. Trust us to help you choose the best possible roof system for your home and budget. We will take the time to educate you about the roofing process so that you can make smart decisions and feel confident in the roof that you choose. Regardless of material, proper installation is essential for your roof to function properly and last as it should. Experience makes a difference! Give us a call! Our business thrives on referrals so each and every customer experience is very important. We truly enjoy going above and beyond in our service and earning the satisfaction of happy customers. Good communication is key in meeting or exceeding your goals and expectations.